Sitting in the safety of our homes drinking morning coffee it is easy to say people must allow tigers to coexist in the same landscape as they do, because we don’t face the fear of the forest each and every day to make a living. But in the jungle of eastern India, hours by boat from any village, the islands of the Sundarbans are home to 4 million people who do just that- fend for themselves in fear of the tiger. 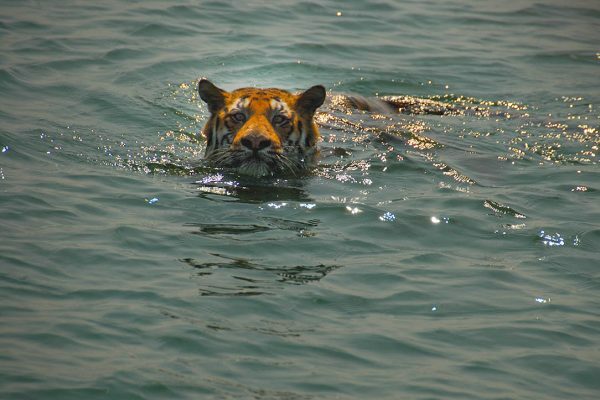 Climate change has begun to reshape the Sundarbans, the name means “beautiful forest”, where three major rivers, the Ganges, Meghna and Brahamaputra all swirl into the Bay of Bengal. The islands can be as small as a sandbar while others are miles long. The world’s largest mangrove forests stretches nearly 4,000 miles across India and Bangladesh and is the home of nearly 200 Bengal tigers. The trees of the mangrove forest survive on the border of land and brackish water and unlike most big cats, Bengal tigers are happy in water and swim for miles from island to island. The tides can reach as far as 200 miles inland, and every day, thousands of acres of forest disappear underwater. With every high tide, a huge amount of land in the Sundarbans disappears with the receding tide shrinking the land forcing people and tigers into increasingly smaller land areas. 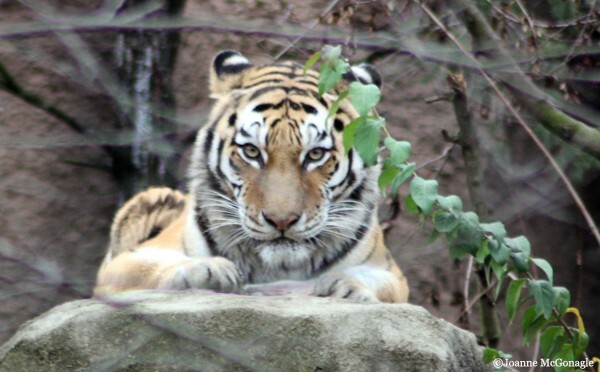 When fields, farms and residential areas are unusable, people try to move into tiger habitats leading to the inevitable conflict between humans and tigers. 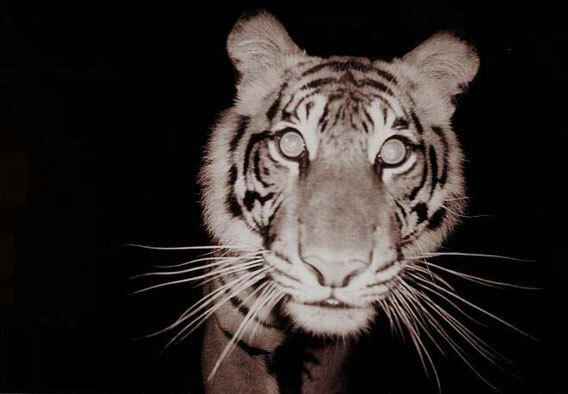 Every year an average of 25 people on the Indian side of the Sundarbans are attacked by tigers. Climate change will lead to even more attacks. Locals speak of fighting off tigers with a pole after the cat crept up on them while fishing in the jungle. People depend on the jungle for food and income yet going deeper into the forest for honey or searching the coastline for crabs makes them more vulnerable to tigers. The villagers tried different methods of preventing tiger attacks. They even made special backward-facing masks attempting to thwart the tigers, because they like to sneak up from behind. The masks didn’t work. Tigers are venturing into the village in search of a meal. The villagers’ goats are easy prey. The World Wildlife Fund came up with a solar energy project run via a power station on land donated by the local community to allow people to make a living in the village instead of deep in the jungle. Access to clean energy allows the people to spend time during the evening working and students studying while the lights deters tigers from entering the village. Renewable-energy experts think that underdeveloped places can leapfrog straight to clean energy without ever relying on fossil fuels, in the same way they got cellphones without ever depending on landlines. Nighttime lighting has changed their lives. The fisherman no longer has to venture far away from the village. Women are able to weave and embroider into the night and sell their products at the local market. Becoming financially independent from the forest also means less risk of crossing paths with a tiger. Good for the people and good for the tiger. I love hearing about new ways of coexisting with the jungle. It’s important. this IS good news for both people and tigers 🙂 ?